Hotel industry disputes are complex matters reflecting management of the premises and employees for a safe and secure lodging environment. Hotel experts should be familiar with hotel franchise agreements and hotel brand standards, which often provide the basis upon which the hotel is expected to be operated. 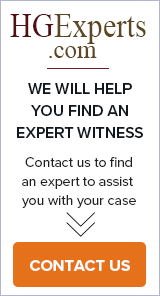 Hotel expert witnesses can be expected to be knowledgeable of income statements, PIP, CapEx, cash flow returns, and third party agreements, among other operational reports, collectively providing a financial perspective to assist retaining counsel for a broader understanding of the hotel dispute. We are a fulltime professional ADA Consulting Firm. Our speciality is in performing comprehensive facility/property compliance evaluations.